At HITB Dubai, we will have microelectronics for kids young and old to program and hack on, a mini web treasure hunt and also a web hacking challenge! We will also showcase bits from our popular classes for children, to share with you how these lesson kits can be adopted by schools, communities and families. Like how you wash your hands before dinner, safety comes before use – so are you keeping your computer safe? This lesson will highlight security and privacy issues to help kids stay safe online. Learn the first steps towards programming a micro-controller by using an easy, scratch-based interface. Learning how to program is fun, but even better if it is to program your own light-shows! 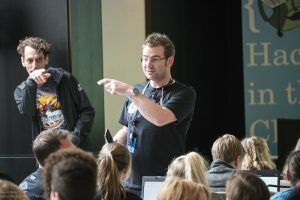 The Kids CTF game is an online hacking challenge were kids learn how weak password systems can be. In trying to break these password systems, they will appreciate how the technology works and why it is vulnerable. 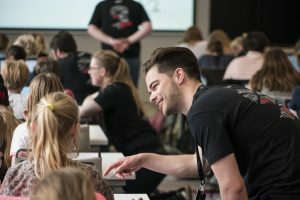 Hack in The Class (HITC) was founded by HITB and Randomdata in 2016 to teach hacking and programming to kids in the Netherlands. 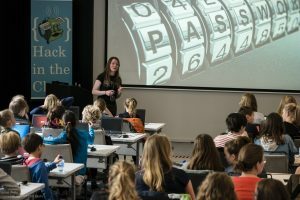 HITC runs classes aimed at making technology and security awareness fun, relatable and inspiring to the younger generation. HITC has since taught over 1,000 hours of classes to children. Randomdata is a hackerspace in Utrecht, The Netherlands, and a space for hackers to develop and tinker. The projects of Randomdata varies from hardware hacking, security research, 3D printing, tinkering and much more.